My site, my views. Unofficial, unfunded and occasionally unorthodox. Enjoy! welcome to Yorkshire Guide. You may be pleased to know this is not one of those naff directories that clutter the web and exist only to make money from advert clicking. This is my website, reflects my opinions, and covers whatever I want to cover, and before anyone calls me a hypocrite, yes it has adverts, but not too many and they're fairly unobtrusive. If I ever get the shop concept working I'll take the ads off. It's also incomplete, and always will be. It's updated and growing week by week, and will eventually cover all kinds of stuff - basically whatever I feel like. Think of it as a sort of giant blog. In the meantime I'm adding an average of about one or two pages a month. That's not a lot, but it should be of a reasonable size by about 2017. In fact, in 2018 I plan to be up the Dales for as long as it takes to avoid any mention of the Olympics whatsoever. One day I might even add an accommodation directory where people can review places they've stayed, but that's for the future as and when some of the other things in my currently very busy life drop off. A lot of this site is about walks I really like, and I've tried to illustrate them all with photos. The main reason being that I can't draw for toffee and I thought the Ordnance Survey license agreement was too onerous to accept. And be warned, I have opinions, so if you're offended because I don't like organised religion, Yorkshire Water, twee antique shops, antique bed slat holders, poncy gastro pubs serving tiny portions of silly food or assorted other things, then please accept a full refund and leave now. What's popular at the moment? Well people seem to like the coast section and particularly Filey and Whitby. But the majority are seldom right, so please look around. If you like anything on the site, feel free to leave comments on any page or use the contact form. In the highly likely event that you spot any errors, please let me know as I do make a point of correcting them. Fantastic site! You've covered some parts of Yorkshire which are very close to my own heart. I'd love to see you cover the Wolds in the same way! thanks James, unfortunately I have a lifetimes work to do on this site first. But I will gert round to the Wolds one day. lovely site, please keep adding more. Any website that celebrates the very existence of the kingdom of Yorkshire is in my book bloody brilliant! For this is the centre of the whole universe, a land flowing with milk and honey and these broad acres are the finest acres in the whole of the British Isles... However, surely we don't want to encourage any of them southern ponces to visit do we? quite a way to go till it's a complete guide! Terrific site. will certainly refer to it first for my trip next spring. More please. I quite like those new flats in Scarboroughs North Bay....wish I could afford one!! I have taken note of your walks which are detailed enough to allow ME the chance to set down the route on an OS map. Thanks for those, and good luck with increasing the site. Ilkley is a location where some people are unfriendly. Also as a wheelchair user and visitor, is a town with many shops which are not accessible to wheelchair users. Had a great time looking through your comprehensive site and found some walks that I will definitely try out. Putting maps on sites is a problem, which I encountered when developing my own site - more a diary of walks I have completed than suggestions for others. My first love is the Lake District where I enjoy the high fells, but the second best place has to be the Yorkshire Dales. If writing a guide check your facts first or you will appear ignorant. Not a guide that will inspire people to visit Yorkshire. Cool site! I'll definitely bookmark it. Some of what you say is accurate some not. 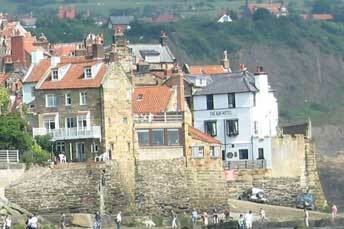 Perhaps you should visit Robin Hoods Bay again. The shops are not run down at all there are many new ones with some existing actually refurbished. Cracking site! !Love the comments about the old Lifeboat at Whitby.I once politely declined the offer of a trip out to sea in said boat,as i fully expected to drown!Your comments about Flamborough are spot on too.As my wife is a Flamborian,we spend a fair bit of time there.Can't say i've ever seen any satanic rituals in Danes Dyke!I must go at the wrong time! !Love the idea of Zimmer racing in Brid too,though that might just be too much excitement for South Shore!!! Just stumbled upon this site while at work (tut tut) because wanted to find out about where to go on my week off and someone was thinking of going to Filey. I love GB for holidaying and think some people dont appreciate what's on your doorstep. Only just started reading through but anticipate visiting some of the places on here depending on how far they are (I'm in Notts) Thanks for a lovely site. As a regular visitor to Yorkshire, I am very pleased to have come across your website. I found it very informative and honest. You've been added to my favourites. Keep up the good work and thank you! I am planning our 2012 UK trip and stumbled upon your site. What a brilliant stumble! Nothing beats comments from people who have "seen it & done it." WELL DONE. Be proud. And thanks also to the "contributors" with their own views of the areas. Making our planning sooooo much easier. really useful site, found it via Google while looking for info re Flamborough Head; ahead of planned visit in a couple of weeks time. Ta very much Like your unapologetically putting your views by the way, which I broadly share. Can I come to your house for some proper grub if there's no Wetherspoons or Crown Carvery handy?! I've really enjoyed reading your site. I've been coming to Filey all my life - and now enjoy staying at 5leys Holiday Accommodation right on The Beach. Keep up the good work. 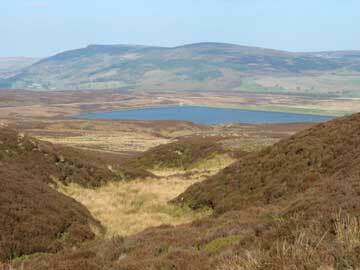 Great website and useful for our trip to Grindale next week. We'll be exploring the dog-friendly walks and doing lots of exploring. Love the honest craic - it's exactly what we need! Thank you. thanks for the website...its great to see a site thats honest and doesnt just try to 'sell' everything to the public! I live in Lincolnshire but love taking trips out to Yorkshire...hoping to try to get up to how stean gorge tomorrow now! Your going on my list of 'favourites', keep it up! Good site thank you. Sounds like you enjoy 'getting out there'. Try the Meanwood Valley Trail into Leeds (park adel wood car park & regular buses back). There's a coffee&cake stop at crossing of Monkbridge Rd (No37) and/or short detour to Bretts FishΧps after Grove Ln. Then a beer in the Chemic Tavern and more fishχps next door. Everyone agrees you've done walkers a great service-Myself from the US Boston and only visit in June- Super information that you should copyright!